Feral peacocks in a Canadian city near Vancouver aren’t known to harm humans but video shows them threatening parked luxury vehicles. The peafowl have been troubling Surrey, British Columbia, for some time — the issue of the noisy birds was raised at a local advisory board meeting in January — but the controversy heightened last month when one resident was fined after cutting down a popular perching tree, according to news reports. 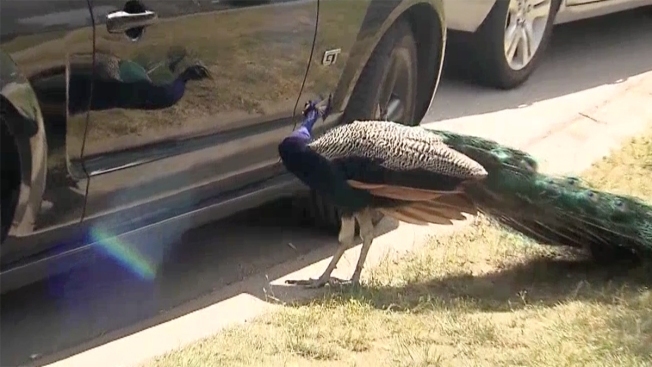 In one video, a peacock meanders around a black car parked on the street, appearing to eye its reflection. A former resident farmed the colorful relatives of the pheasant for fun and left some of them there when he moved away, The Canadian Press reported last month. A decade later, the birds are annoying their human neighbors. Besides scratching up expensive cars, they are reported to block doorways, leave a mess where they roost on rooftops and keep people up at night. “You couldn’t sleep. When my kids were babies and toddlers, they woke them up all the time,” a resident named Julie told the Press. CTV reported the City of Surrey issues fines to people who feed the animals, but officials aren’t legally obligated to remove them. Residents say the birds will keep plaguing the neighborhood until authorities take responsibility for the problem. Roaming peacocks and peahens have been known to bother other residential neighborhoods. In 2014, someone or a group of people killed nearly 50 of the birds with BB guns, arrows and poison in the Los Angeles-area city of Rolling Hills Estates, where about 1,000 peacocks lived. 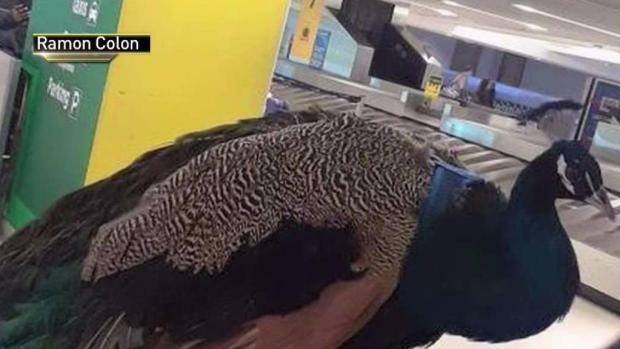 A colorful scene took place as a woman tried to board her emotional support peacock on a flight from Newark Liberty International Airport, according to reports. 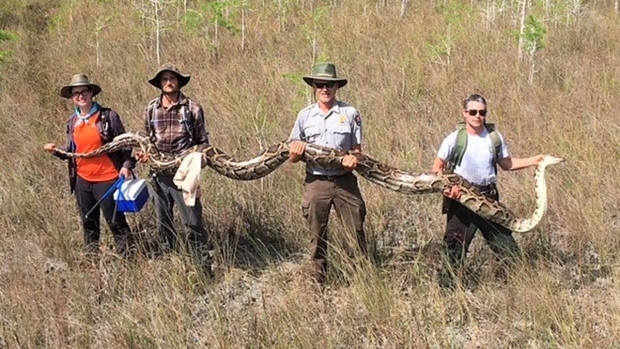 Those birds were also known to peck at vehicles, an animal protection investigator said at the time.